In the present work novel para methyl, para methoxy maleanilinic acid derivatives; which were prepared by solvent free reaction between maleic anhydride and p- methyl and p- methoxy aniline derivatives in a good yield. 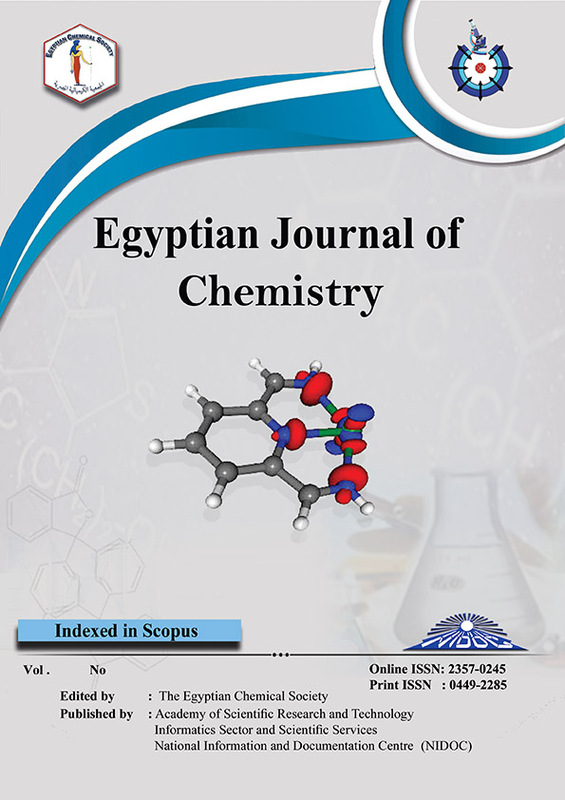 The prepared two novel derivatives are successfully applied in this research as selective chromogenic analytes for spectrophotometric analysis of heavy metal cations in water samples. Simple, accurate, precise, sensitive and pH-selective visible spectrophotometric method has been developed and validated for the direct determination of iron (III) and chromium (III) in pure and/ or environmental samples. These selected indicators are successfully applied for the analysis of Fe (III) and Cr (III) in water samples collected from regional wells in El-Beheira governorate. The obtained results are compared with the data obtained by atomic absorption of these metal cations in the same wells; which indicate great correlation between the two techniques. This correlation refers to the validation of the suggested spectrophotometric procedures in environmental analysis. These indicators are also tested against some kinds of bacteria, fungi and cancer cells. These possess great activities towards different kinds of bacteria and cancer cells. The obtained results in this research indicate that; the two prepared novel maleanilic acid derivatives are successfully applied in environmental analyses and health applications.